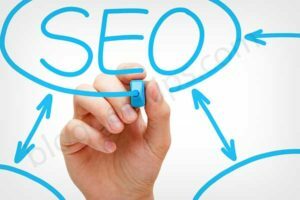 It is not that SEO always have to be tough. The fact is that it is better if it is not tough. Smart people usually end up overcomplicating things, particularly when the rules of the games are not transparent enough although the end game is always same. While the regular tactics and strategies might keep changing with time, the ultimate aim and objectives can still remain intact. The principles which underlie every motive have not evolved. Hence, we should try and keep it as simple as possible. It’s meaningless in chasing algorithms and pivot tables. Rather, it will be more profitable when you spend more time on those things that work. There are SEO wins which already visible everywhere; you just have to look at the right place. Let’s take a look at the few areas within Google Analytics to consider. Nowadays, content demands get more and more complex and creating content becomes tougher and this means that this endeavour even takes a lot of time. There are so many surveys which prove this statement. According to the findings of the survey, this year (the third year consecutively) bloggers are taking more time to write a post as compared to the last few years. Besides the considerably longer time that people are taking to write posts, most of them don’t even have time to publish them. Bounce rates throughout the site are just useless because they don’t tell you anything. Similarly useless are site-to-site comparisons. A blog’s bounce rates will be definitely higher as compared to commercial websites. This is not only because of the content of your own site but also due to the visitors who come to check the site. Remember that data will always lie and hence no marketing campaign can be clear-cut. Going deeper into the context is the only way in which you can get any insight. Within Google Analytics, look for ‘Site Content’ under ‘Behavior’ and then click on ‘All pages’. With the Advanced option, you got to get your hands dirty. The ultimate goal is to check the best performing pages from Google. This way you’re stripping the posts and pages which perform well in paid campaigns. The first tip should attract more people to your website and this is the best time for payoff as it is possible to get more people to convert. Send people to all those webpages which are still working. You can force people to flow through the site and convert. Chances are high that this will happen organically. Therefore, if you’re wondering about the different ways in which you can win over SEO through Google Analytics, you can take into account the above mentioned points. This is perhaps the best way in which you can win over your competitors as well.